… even while doing the hard work of caring for the world’s most vulnerable. They’ve been married over 40 years and have 6 grown children, one of whom is adopted. Additionally, they lead Family Life, a multi-faceted ministry to families. So when they shared their tips for cultivating a healthy marriage while fostering or adopting, we listened. 1. Your marriage must be built to outlast your children. Whether our children are biological, fostered, or adopted, they will challenge us, and our marriage must be built to withstand the challenges. Why? If our relationship with God or our spouse suffers, it negatively impacts our marriage as well as the children we are trying to care for and love. Stepping into the foster care/adoption arena specifically, we must be ready to take on challenges we never anticipated. As adoptive parents it is easy to place higher expectations on ourselves than we should, but this sets us up for disappointment. Tip: Surround yourself with godly friends who will be your support system. You don’t need many friends like this–two or three will do. Ask them to pray for you faithfully. 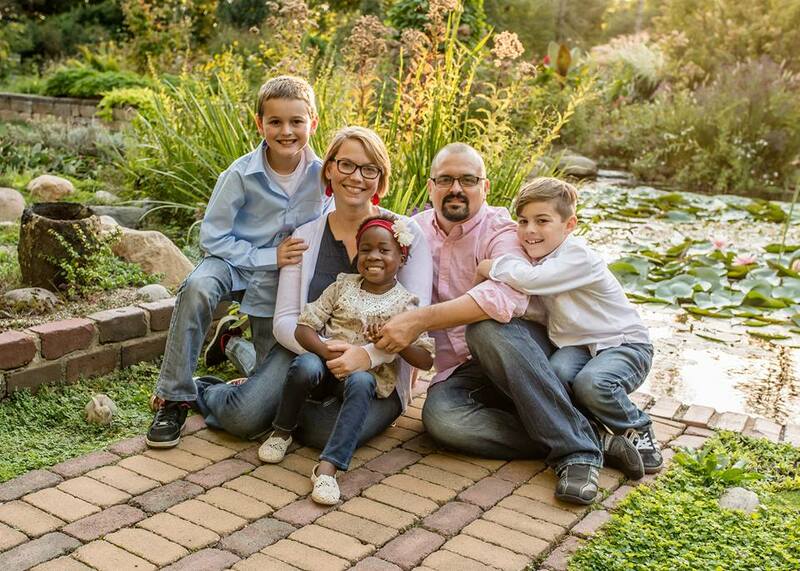 The Millers brought their little girl home from Haiti after 1,400 consecutive days of prayer. 2. Your children must not control you, your marriage, or your family. It’s the natural tendency in most families for our kids to become the center of our universe. And it makes sense since we are wired as parents to want to meet the needs of our children. We must be careful to guard against this temptation, however, as it has the ability to corrode marriage relationships as we invest more in our children than we do in our spouse. Speaking personally, we limited the number of outside commitments and extracurricular activities in which our children could commit. It wasn’t always easy to say “no” to opportunities–the strength to withstand the winds of the culture and comparison with others takes effort–but it was always worth it to keep the most important things our top priority. Tip: Don’t center your life around crisis. Find ways to create positive family experiences even in turmoil. 1. 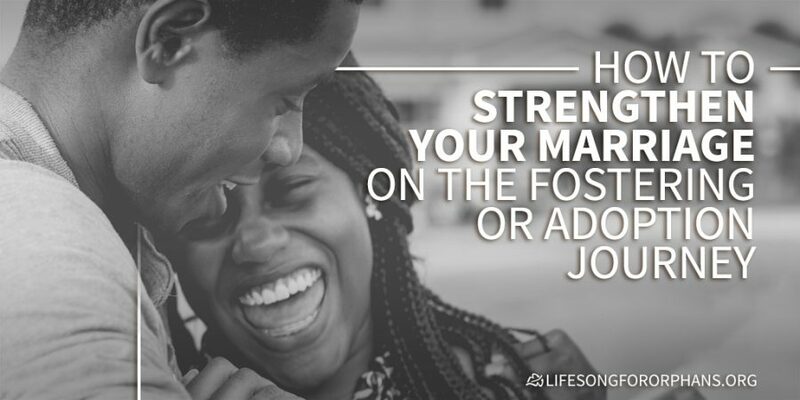 Determine together to proactively protect and invest in your marriage. Keep your marriage firmly planted on the Rock that is Christ. 2. Foster abundant communication. The more you discuss what you are facing, thinking, and feeling, the more one you will be with each other. Be certain, too, when you are listening to each other, that you are listening–together–to God. Invest in date nights. If possible, take it a step further and–once or twice a year–attempt to get away for 1-3 nights to invest in your relationship. Read books together. Take walks. Turn off the T.V. and talk. 4. Establish core values for your family. Sit down individually and write out the top 10 values you want to build in your children, rank them on your own, and then sit together and determine the top 5. What goals do you want to pursue together when raising your children? Foster care and adoption are great privileges, but parenting will always be challenging. If God has led you to foster or adopt, He has something much bigger in mind than you rescuing a child and you giving a child a family. Allow the journey to teach you more about the deep, extravagant love of God … and then reflect that love to your husband or wife. This post grew out of the session entitled, “Keeping Marriage and Family Strong on the Journey of Adoption,” from the 2015 Christian Alliance for Orphans Summit. Find additional, helpful resources to encourage you as you parent.